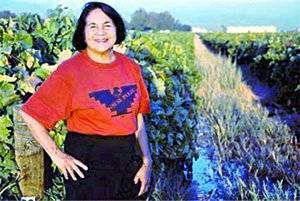 Dolores Huerta in the farmworkers’ struggle. 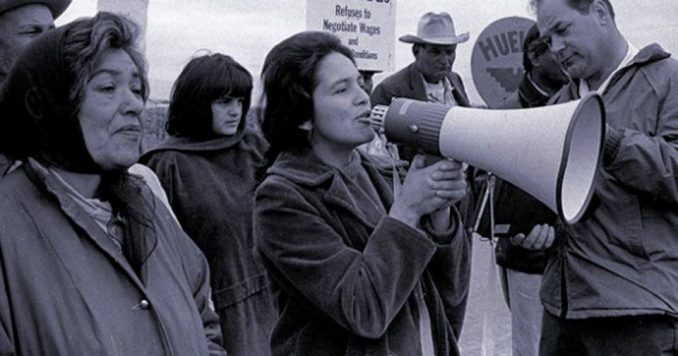 Dolores Huerta has been an unsung hero of the 20th-century U.S. labor movement. But not any more. The recent release of the documentary “Dolores” shines a spotlight on her life’s work — organizing for economic and social justice and fighting to end all forms of oppression. Dolores is a proud Chicana born in New Mexico in 1930, whose father was a miner and a labor organizer. She went to school in Stockton, Calif., where her divorced mother ran a hotel and took in anybody who needed shelter, even if they couldn’t pay. Both parents contributed their strengths — fighting for rights and heartfelt compassion — to Dolores’ steadfast will to change the world while having 11 children. Working as a community organizer after college, where she was introduced to nonviolence, she and fellow organizer César Chávez shared a vision of organizing the poorest, most oppressed Chicano workers. 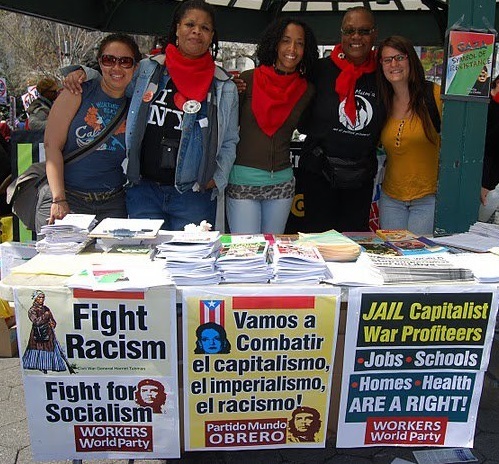 They co-founded the National Farm Workers Association in 1962, which became the United Farm Workers of America (UFW) in 1966. Though César was always viewed as the leader, Dolores played an indispensable role, especially during the grape and lettuce strikes in the mid-1960s, when the support of workers’ families was essential. She encouraged spouses to get involved, and many joined the 1966 march to the state capital in Sacramento. When the struggle for unionization ebbed in California, Dolores was the one who suggested a national grape boycott. Leading it in New York City, she credits the Puerto Rican and Black communities with providing immediate, sustained support. There she met feminist Gloria Steinem, who got A&P heir Huntington Hartford to picket A&P to stop selling scab grapes. The feminist connection, says Dolores, expanded her thinking, particularly about the importance of women’s right to choose abortion. Dolores Huerta in Bakersfield, Calif. The movie credits the cultural emergence of the Chicano Power movement in the Southwest and the founding of the environmental justice movement as offshoots of the farmworkers’ struggle. Their life-and-death fight against pesticide poisoning helped outlaw DDT in the U.S. in 1972. 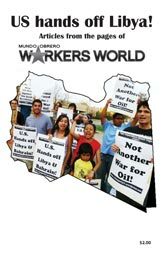 But all was not smooth sailing for the UFW. Not after the Teamsters signed with the growers in the early 1970s and waged a violent, hate-filled, racist war against the UFW. But the UFW persisted, winning passage of the California Agricultural Labor Relations Act in 1975, with Dolores the lead lobbyist. The state became the first to change the 1935 National Labor Relations Act, which had denied farm and domestic workers the right to unionize. After the UFW won the majority of secret ballot elections, the Teamsters withdrew in 1977. 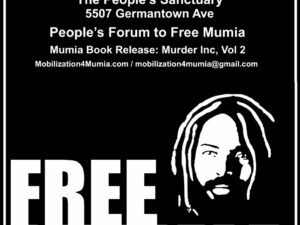 A turning point for Dolores came in 1988 when she was ruthlessly beaten by San Francisco police while protesting presidential candidate George H.W. Bush. She suffered three cracked ribs and a ruptured spleen, which had to be removed. 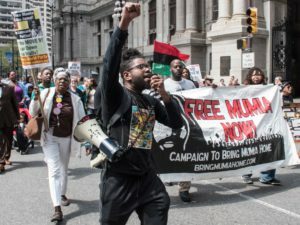 During a long hospital stay and bedridden recuperation, her children — who tell of suffering terribly during her many absences — rallied around her 24/7. She calls it “family time.” All of them have since proudly followed in her footsteps. After César died in 1993, Dolores’ role in the UFW was never the same. Refusing to fight for leadership, she finally resigned in 2002. Thanks to a $100,000 prize from the Puffin/Nation Prize for Creative Citizenship that year, she created the Dolores Huerta Foundation, devoted to community organizing and run by two daughters. Dolores has won many awards over the years, but she is especially known for raising up the slogan “Si se puede” — “Yes, we can.” Not only does the phrase energize the movement for $15 and a union, but it has been adopted by all movements striving for justice and equality. Noting that Dolores once wanted to be a dancer, Angela Davis summarizes her life as “dancing on the platform of justice.” At 87, she’s still dancing.